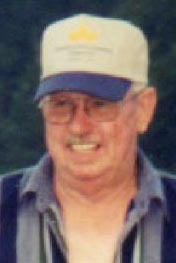 Donald Franklin White, 77, of Olive Hill, passed away Sunday afternoon, January 31, 2016, at King’s Daughters Medical Center in Ashland. He was born September 19, 1938, in Lewis County, a son of the late Homer and Fern Kidwell White. Donald proudly served his country in the United States Army. He was a self employed truck driver and a life-long farmer. He enjoyed watching NASCAR, dirt track racing, and spending time with family and friends. In addition to his parents, he was preceded in death by one son, Danny Paul White. Donald is survived by his wife of 48 years, Donna Fitch White of Olive Hill; one son, Darrell White and his companion, Angie Fife, of Olive Hill; two brothers and sisters-in-law, Sam and Sandra White, and Ronnie and Peggy White, all of Emerson; and seven sisters and four brothers-in-law, Norma Lewis, Alma and Allen Richmond, and Rose and Elvis Williams, all of Vanceburg, Deloris and Bobby Grayson of Mansfield, Ohio, Lena Henderson and Mavis White, both of Olive Hill, and Mary and Rick Bentley of South Portsmouth. He also leaves many other family members and friends who will sadly miss him. Services were Wednesday, February 3, 2016, at Globe Funeral Chapel in Olive Hill with Bro. JC Bond officiating. Burial was in Morgan Cemetery at Head of Grassy with full military honors accorded by Olive Hill American Legion Post 138. Danny Fitch, Paul Fitch, Sam White, Rick Bentley, Elvis Williams, and Brian Logan served as pallbearers. Ronnie White, Dwight Lewis, Joe Wilburn, Tony Richmond, Jeff Lewis, Michael Shane Ginn, and Josh White were honorary pallbearers.